Plays virtually every VST compatible plugin and effects unit. NEW MIDI Learn functionality. 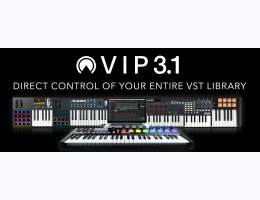 Seamlessly maps the controls of any VIP compatible keyboard (knobs, encoders, faders, buttons) to VIP’s parameters with a growing library of MIDI controller mappings for Akai and MAudio controller keyboards included.